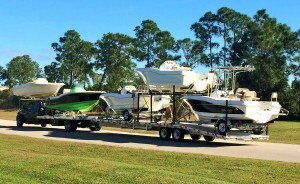 •Barracuda Boats ships anywhere in the U.S. and Canada with Custom Transporters. 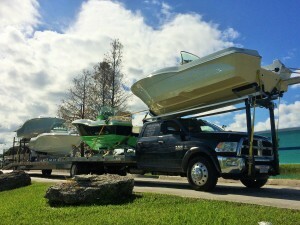 Custom Transporters has a friendly and knowledgeable staff that can deliver your boat safely, for very competitive rates. Text Barracuda Boats at 772 485 1501 for a quote to ship your Barracuda, or any pontoon or fiberglass boat up to 30 feet in length.